Vehicle wraps are a great deal for small and medium sized businesses (and all businesses in general): they convert their cars, vans and trucks into moving billboards with high visibility at a very reasonable and one-time-only fee. This is why car wrap design is in high demand for graphic designers, and is also why car outline templates are so useful. 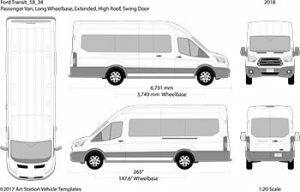 By using professional vehicle wrap templates, you can easily skip one of the most crucial and tedious parts of vehicle graphics design: getting accurate measurements of the vehicle your design will be on. But that is just the first step. Creating an awesome vehicle wrap takes a lot more than just the right dimensions. And here we’ll guide you through the whole process of designing a custom car or truck wrap! For more detailed info, do check out our awesome Complete Guide to Vehicle Wraps! 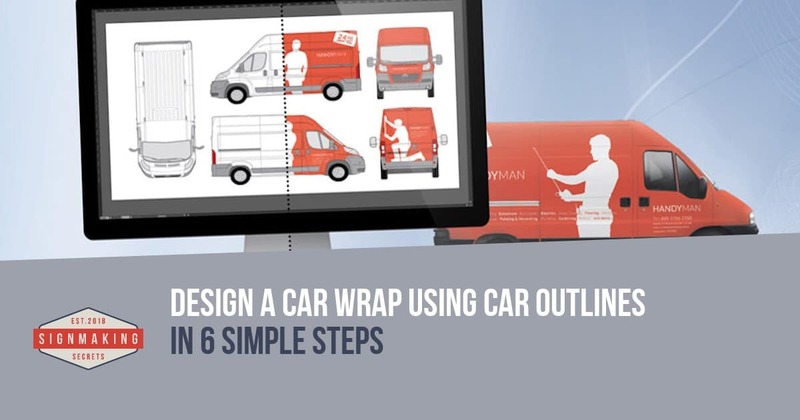 This is our simple, step-by-step guide to design custom vehicle wraps in the best and most efficient way possible. If you’re a sign maker or graphic designer looking to expand your business to car wrap services, this is the perfect start point. So read on! When your client comes to you asking for a car or truck wrap design, the first thing you need from them is the information about the vehicle they want it applied on: brand, model and exact year of release. 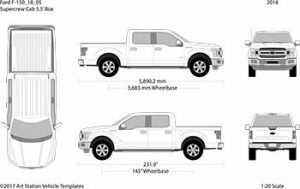 With this information, you can jump right on to a professional vehicle outlines library and find the vehicle template for that specific car, van or truck. If you want to be ahead of the game, check out the Top 10 Most Popular Car Outlines for 2018 and have them ready for your customers! It’s cheap: some vehicle templates offers are really good. For example, SignSilo has one awesome deal in their Vehicle Club plan, with 25 downloads a month for a whole year at just $99! That is 300 templates for only $0.32 each, an insanely low price, more when you discover they have a library with 20,000 templates covering 30 years of vehicles up to the latest 2018 models! Find out more details and grab your Vehicle Club Plan right here. 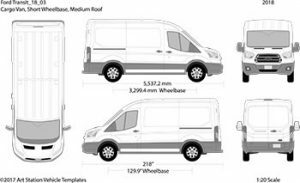 For more info on the usefulness of vehicle outlines, and where to buy them, read our Full Guide to Vehicle Wraps! You might want to check for sports car, car vector or car silhouette in some of the normal stock photo websites. If you are checking for car icon or model car line icon then you can use a normal vector website. Before you get down to graphic design, it’s important that you see the actual vehicle your wrap will be on. Ask your client to see the car (or van, or truck), and take high resolution photos of it from every side. You can also ask your client to send you these photos. In any case, the photographs must be taken as flat as possible, to appreciate real dimensions (so, never shoot in angle!). Why to See the Actual Vehicle for a Vinyl Wrap Design ? As precise as a car outline will be, they are all based in standard, factory car designs. So if your client installed custom parts like bumpers or spoilers, or if their car has any alterations on its body or surface, these details won’t be reflexed in the template files. To avoid ending up with a bad wrap work that doesn’t fit the car properly, you need to know about particulars and make the necessary alterations to your template. Also important to do before getting down to the creative work, is to make the printing arrangements with your client. Whether you already have a large format printing shop lined up, or if your customer knows which one they want, you want to get the printing requirements from them: file format and stuff. Of course if you do the printing in-house, this is much easier. Discuss materials too. At this point is a no brainer that vinyl car wraps are the best, but there’s different types of vinyl, at different price points. So you and your customer should define and agree on this beforehand. Why to Pre-arrange all this for Vinyl Graphics Design? Knowing the printing requirements lets you design with these parameters in mind and avoid having to make adjustments to the final files. And as for materials, vinyl graphics price options are linked to quality, and thus to final results. You want to make sure the client chooses something they are comfortable with not only in terms of cost, but also of expectations. Company details: logo, brand image colours, work or commercial item, slogan, etc. Marketing goals: what is the car wrap for? What do they want to promote? Design preferences: concepts, ideas, references of designs or styles they like, etc. Your own research: do some online searches for vinyl car wraps in the client’s specific field. Do your best for the communication between you and the client to be fluent, and precise. Why to Start the Design Process this Way? Like in any custom design, you’re using your skills to please your client –using your creativity to fulfil their vision–. Knowing what you must include and what you must not, what is the intention of the design and what others are doing in a similar segment will help you get inspiration and have the right frame to create your best work, and also be on the right track from the start and save you many stages of edits and revisions. Where to design – Open your car outline template in Adobe Illustrator (or a vector manipulation tool of your choice) and design on it directly. It’s a good idea to use Adobe Photoshop to lay your design on a high res photo of the vehicle, creating a mockup to help clients (and yourself) visualize the final wrap. 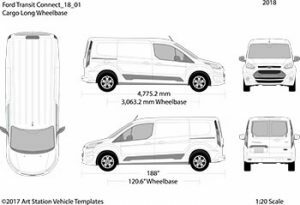 Make sure the artwork on the mockup can be easily applied to the actual vehicle template – you don’t want to wow them on the screen with something that will not look quite the same on their car! Working with the vector template is a better practice not only for accurate correlation with results but also due to printing requirements, as not all print shops accept PSD files, while most of them accept AI or similar vector formats. How to organise your design – Definitely work with layers! And keep them organised and labeled. The best process is to have each part of your design (front, back, top and sides) separated, and keep all your design elements on individual layers. It’s a good idea to lock the layer with the car details you won’t use, like windows, bumpers and etc., so you can focus on the actual design surfaces. What color mode to choose – Go for CMYK and set the document to 720ppi, to have it print-ready. As a general rule of thumbs vehicle wraps are the perfect case to go nuts with brights colours and oversized graphics in a minimalist design. Colour – Choose bright and contrasting colours that catch the eye and are visible at all times. Pastels tend to wash out in daylight, and blending tones are hard to see on a motioning vehicle, so you want to stay away from those. Graphics – Go for big sized elements, but prefer just one or at least very few of them. Overcrowding your wrap is not a good idea, remember you want it to be not only visible, but distinguishable in motion. Background – Make it simple and quiet, a solid colour if possible. Say no to complex patterns: they difficult the installation due to the need to make the design match at all edges, and overly noisy backgrounds distort the overall design anyways. Fonts – They must be large, and when possible make them bold too. People must be able to read them from a certain distance, and on a certain speed, after all. Being big also helps them be legible even if cut by door handles or other car body details. Copy – Less is more! Don’t throw a lot of text on a vehicle wrap, it’s really pointless. One line or at least very few of them are ideal. A slogan, a message or a social/website address is more than enough. Images – Photos aren’t the most recommendable element for car wraps, but a lot of customers want them. If you must use them, make them very high res! You might find useful to know that SignSilo not only offers a great deal with the Vehicle Club plan for car outlines, but also a very complete Membership with access to 20,000 vehicle templates plus over 30,000 additional resources including HD stock photos, vector illustrations, graphic artwork, fonts, and so much more, starting at just $39 for 200 downloads a month! See details and get your SignSilo Full Membership here. Bleed – Make sure to leave from 3 and up to 10 inches of bleed space all around the car outline design, it’ll help the wrap to get a better grip on the car, and leaves a margin for errors. Just like with any other design commission, it’s best to show your client the design at different stages to ask for feedback (this is where the Photoshop mockup comes in handy). Do the design adjustments necessary before moving forward, and always make sure to have their express –written– consent to send the final result to print. 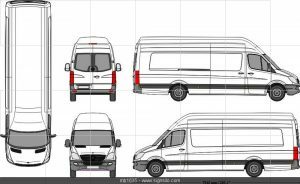 Why to Double and Triple Check in Vehicle Graphics Design? Printing a vinyl car wrap has its cost, and most design fails or changes are impossible to fix/do once it’s done. Working under basic notions for this type of design and print, and having express proof of your client’s approval for printing will ensure both that you designed what they wanted, and that they (and the printers) are responsible for the final print they’ll get. Create a folder that includes all the wrap design files, plus all additional resources you used: RAW files of stock photos, uncompressed vector images, fonts, etc. Why to Prepare Files like this for Large Format Printing? Sending out the final design this way makes for the printing step to go smoothly for both you and the printer. This is where your job ends, so why not making it the best way possible, right? A folder with all the decals organised and including all extra graphics help the printer sort their own work faster, and if they need to make adjustments to the graphics, they’ll have all the files at the ready. And that’s it! After you send out the printable files, it’s up to the printing shop and the installation workshop or expert to take your vehicle wrap design from the computer to the vinyl, and onto your client’s vehicle! For more info on those final steps, check out our Complete Guide to Vehicle Wraps, Car Wraps and Vehicle Templates! Can Non-Designers Create their Own Car Wraps? This guide is aimed at signmakers and graphic designers mostly. But if you’re a small business owner, a startup runner, or a hands-on entrepreneur, we know you probably are always willing to take up on certain tasks yourself to get what your business needs. 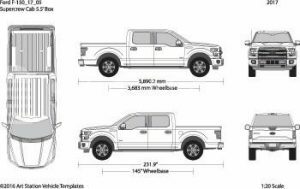 And that when it comes to custom vehicle wraps, it might sound like a good idea to design them on your own with the aid of a car outline template. So what is very important for you to know is that, while of course you could try creating full or partial wraps for vehicles yourself, this is not a job for the non-savvy. Sure a car outline makes the process a lot faster and simpler, but it’s still no walk through the park. And those are just the major skills. If you are confident in your abilities, do use this guide and give car wrap design a go. If not, we strongly recommend you to hire the services of a professional graphic designer. As you see, in 6 simple steps you can start and complete a custom vehicle wrap. As they’re so sought-after, it’s definitely worth your time to start offering them in your sign making or graphic design portfolio. Using awesome and cheap resources like SignSilo and their unbeatable Vehicle Club plan for vehicle templates, you can find yourself designing great car wrap artwork in no time! So hurry up and put your best work to circle your town’s streets! 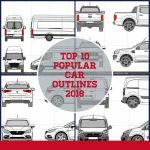 10 Most Popular Car Outlines 2018 - Discover This Year’s Top Vehicle Templates!